Some of today’s best DJs originate from Sweden. Insert CAZZETTE, a duo comprised of Alexander Björklund and studio partner Sebastien Furrer. It was their anthem “Sleepless” that redefined the meaning of progressive house altogether. With over 90 million streams on Spotify alone, the duo made a name for themselves in the dance music world. This includes playing shows around the globe and even opening for Avicii on his worldwide tour. In 2016, the pair decided it was best to stop touring together. 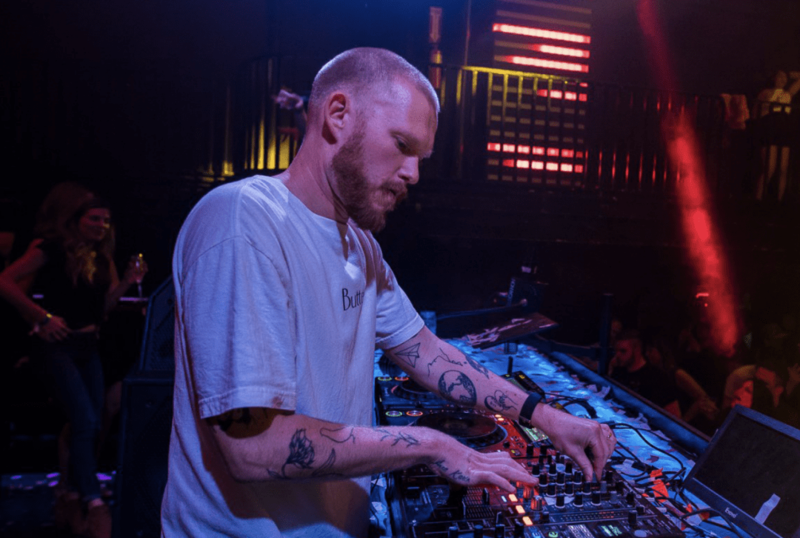 With Alex handling the performance side of things and Sebastien handling the production behind closed doors, CAZZETTE was able to take their music to the next level. Now, they’re back with even more infectious energy than ever before. CAZZETTE’s most recent melodic-driven single, “Run Run,” features the soulful vocals of Morgan Bosman and comes equipped with a message for all listeners to relate to. This comes in perfect timing for the summer, or your next festival (whichever comes first). iEDM: For those who don’t know, who is CAZZETTE? Alex: We make all the music together. It’s two guys and we’re a duo, but I play all the shows. We started off a long time ago, before the whole EDM craze. So we’ve been active for about seven or eight years now, something like that. We produce house music, and that’s all there really is to it. And deejay, I guess. It’s weird because started out we were touring together. Now I do all the touring myself, representing what we produced together. iEDM: How would you guys describe your sound? Alex: I would say it’s house. Some people call it future house, but I would just call it house. We take a little bit from all different genres that we like. In the beginning, we experimented with so many sounds, that I think we finally found our ground just calling it house. iEDM: Alexander and Sebastian, what’s the dynamic like in the studio? Alex: We always work together online, so we have our separate studios. I wouldn’t say there’s a real studio dynamic. It’s more like I see something that I like, then I send it to him. Then he works on it and sends it back, or it’s the other way around. Which is good because it gives us both space to explore our creative ideas. Ironically, being in the quiet. [laughs] You don’t have anyone interrupting whatever you’re working on. iEDM: Everything can be done over the internet?! Alex: Because it gets kind of tough. Usually when you get a really good idea, you have it all in your head. Then you might take a minute to get it to sound exactly how you want it to. If you have somebody in the studio with you, trying to interrupt you or coming up with other ideas in between, it’s going to be tricky to get it done like you want it. And I think that’s usually a lot of frustration. For us, we always like having our own space. iEDM: Talk about your Swedish background and how that plays into your life and career. Alex: I don’t really know actually. I have nothing really to compare with, because I only know that I’m Swedish, and that’s where I’m from. Honestly, I think that’s too tough of a comparison. I know that growing up — being that there’s so much good electronic music coming from Sweden and it’s a really, really small country — I just remember thinking if DJs like Swedish House Mafia, Eric Prydz, Avicii and all these other great DJs from Sweden could do it, I could do it too. Because we weren’t that far apart. Even though I was living on the other side of Sweden, which is west coast, it’s only a few hours away. And it was like, “Oh, if they’re in that city doing that, I might as well give it a shot too.” I don’t know if that has anything to do with being Swedish, but it felt so close that I could go after it. iEDM: I love it! How important is it to come to Los Angeles as an up and coming artist? Alex: It’s super important. I think I finally realized that too. We’ve been touring and working with music for so long now — I wouldn’t say we avoided LA, but we’ve been to LA a billion times now and it’s always been really productive. I’m actually moving there this summer, finally. It’s been taking forever. [laughs] I was stubborn, but LA is really important. Just for the sake of business and majority of people that are there. You can really get great and interesting collaborations going. It’s just a good place to be in because everyone is there. If everyone would be somewhere else, I would say go there. But now everyone is in LA, so you just have to play along. iEDM: Talk about your new record “Run Run” and the message behind the record. Alex: We received a call for it. We weren’t in the studio session when we got it. Me personally, I’m a sucker for melodies. And I just listened to the vocals once and I just instantly felt a connection through that. I felt that this was something we need to make a great song with. Being from a smaller city in Sweden, I could definitely relate right away. These lyrics are pretty straightforward in that sense. You would probably have to talk to Morgan what intentions she had when she wrote it. Just being from a small city and wanting to get out, it’s something I think that a lot of people can relate to. I know that even if you’re from a bigger city, they can even be more lonely sometimes. iEDM: So is it more about the message or the sound? iEDM: You’ve actually opened for Avicii on tour. Can you talk about the impact he had on the world and how that affected you personally and in your careers? Alex: He opened up so many doors for us personally, and showed us the way on the road. His passing is obviously a great tragedy. It hits very hard for both of us. It’s really sad. But he did great things for us and for the dance community in general. Every once in a while, you have these major — I don’t want to say major players — but major roles in electronic music that come in out of nowhere and just changes everything for everyone. He was definitely one of those. So I think he had a great impact for everyone. iEDM: Can you talk about your PRMD label and the core values behind it. Alex: The core values behind the label is that it’s a bit more independent. We have a relationship with them where they pitch us a lot of material, and then we try to come up with interesting collaborations. It’s almost like they’re their own unity and we’re our unity, and we try to just work together and make something really awesome. They end up pitching all types of material then we try to come up with awesome songs around that. Our new EP coming out is really going to show how powerful a relationship can be when both parties do their part to come together and really pitch in. So we’re super excited about our EP coming out on PRMD. iEDM: Favorite song to perform in a set? Alex: I mean there’s nothing like playing your own material, obviously. That’s the goal for every show just play as much new and old material as possible and create something that no one else can. But I love a good house classic, like when you can throw something in that is beyond the younger crowd. When people are dancing and they don’t realize why, I just think that is so awesome. Usually with these legendary classics, you can hear that they were produced a long time ago, but they still hold up. That’s something that I personally like a lot. Especially these surprising moments when people hear it for the first time and they say, “Oh, what the hell is this?” But they go with it anyway. I love it. Alex: I don’t go anywhere without the laptop, so I can work on music and ideas. That’s kind of a give-in. I don’t fly without my botanical oil. You put it in your nose and it is amazing, because the airplanes will dry you up like a desert flower. The last thing would probably be Kombucha because it’s the best. Alex: When people really get touched by your music in a way that you can’t really imagine. You can sit in the studio and work on a song and you can know that you have something, and that it’s good. When you stop and think about what you’re creating and you’re just creating. And then a couple months later when the song is out, someone comes up to you and tells you this incredible story about how your music has affected their life or helped them through a rough time. I think that is the highest amount of reward, when you can connect with other people like that. For me, that’s what it’s all about. Alex: Look, we’re super open to everything. I think the weirder the collaboration, the more interesting. We haven’t been doing a ton of collaborations with other DJs just because of that. At this point, we feel like we want to make and produce as much music as possible. And there’s a ton of people we would love to collaborate with. If I had to pick three, it would be Aphex Twin, Justice, and Nas. That would be sick. Stay up to date with CAZZETTE HERE.